Whether you’re offering your first training using Everything DiSC or your 20th, we hope this checklist proves useful. Please offer any suggestions you have for improving it. We know that you’re the real experts. 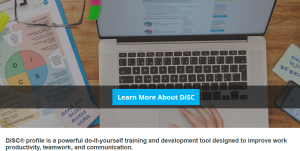 Have you been asked to present DiSC because someone thought it would be fun or because there’s a communication problem within a group? 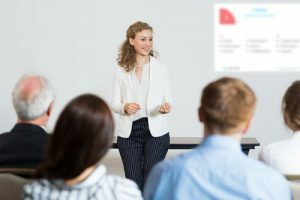 Or is your presentation on DiSC part of a manager or leadership development program? What do you want your participants to get out of your training? Review your objectives with your client. First determine which product best meets your needs. 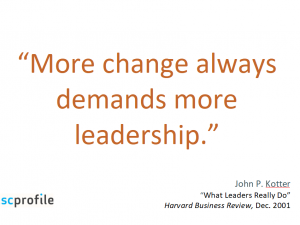 Is it the general Workplace or would Management be a better choice? Not sure which Everything DiSC product to use? 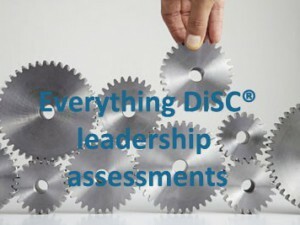 Review the overviews at Which Everything DiSC® assessment should I use? You’ll be better prepared if you know something about the group you’ll be working with. These questions can help. How does the group leader feel about this tool and process? 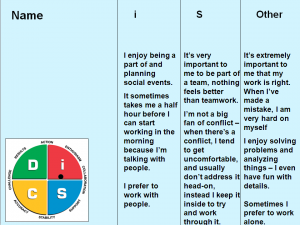 Are participants familiar with DiSC or other personality assessments? Does anyone need special accommodations? Would someone prefer an assessment in a language other than English? Do the participants already know each other well? What’s their level of trust? Are they experiencing or have they recently gone through any big changes? Will any big announcements be made to the group shortly before the training? Will you be meeting with participants in the morning or afternoon? What’s their natural energy level likely to be? Can you operate the lights, lower the blinds, or make other adjustments? Is there a clock in the room? Where? Are there white boards? Do they typically have enough markers? Is there room for people to move around? This is crucial if you want to use the Day in the Life activity. Do you need to reserve any additional equipment for the room, such as a projector, microphone or speakers? Do you need any security cards to enter the building or room or use the equipment? Is there a special wi-fi password for the room or special login requirements? Will the room need to be set up differently? Who will move chairs and tables? Is there a maintenance, technical or emergency contact? Can you get into the room early? How early? Will snacks, or at least water and mints, be in the room? Will lunch be served in the room? Who is arranging for food and drink? Take a look at our DiSC tips & Activities page for additional ideas you might want to use. Decide if you want to have profiles bound (saddle stitch or perfect) by a vendor and if you want to add your own cover or not. If you have the DiSC administrative tool and haven’t used it for a while or are new to it, you might want to review the Quick Start Guide. 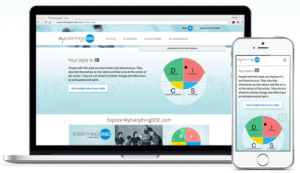 Decide if you want to give participants access to MyEverythingDiSC.com. Now is the time to place your orders, prepare your participants, and set the stage for a great session. 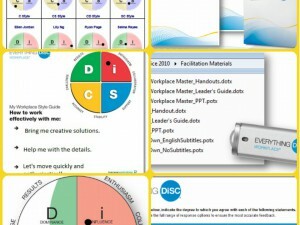 Order individual profiles and group facilitator reports or get an Everything DiSC administrative (EPIC) account from www.DiSCProfile.com. Include a facilitation kit if you don’t own one and want access to videos and other training support materials. Order an Everything DiSC floor graphic if you want to use one. Order any related products you might want to leave behind, such as interaction guides or pens. Participants might be excited or anxious about taking the DiSC profile. You can reduce most of the anxiety if you communicate well and prepare them for what to expect. Send out your profile access codes to participants. Sometimes trainers have everyone complete the profile questionnaire during the training session. We don’t recommend it because some people will feel rushed and technology can break down. Add your own message to the email with the profile link. The DiSC administrative tool allows you to add a message to the email sent with the questionnaire access codes. You might want to send them a sample report so they know what to expect or include a link to the research reports. Or you might want to remind them about additional requirements for that training day. Plan to send reminder emails. If you’re using the administrative tool, schedule reminders before you send out profiles. Ask participants to do any pre-work such as read an article about teamwork, review your organization’s mission statement, or whatever you know will improve their experience. Take these days to make sure you’re completely prepared. Verify that all participants have completed the profile. Run group reports, facilitator reports, or Comparison Reports as needed. This can be done using the facilitator reports. If someone’s report is showing additional shading (additional priorities) you might want to run a Supplemental Report for that person. Knowing the predominate style of your group can help you prepare for their energy level, skepticism, etc. Send profile reports to printer, if desired. If you purchased or created a group, facilitator or team view report, consider having the group poster blown up for display on the wall. 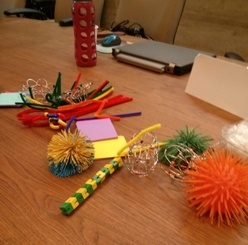 Review the facilitation kit or other training outline you’re using. Make tweaks as needed for time constraints or audience needs. Review your training supplies and order if necessary. Reduce your chances of something going wrong at the last minute by following these steps. Has everyone completed their profile? If not, how will you handle this? Create a seating chart, if desired. 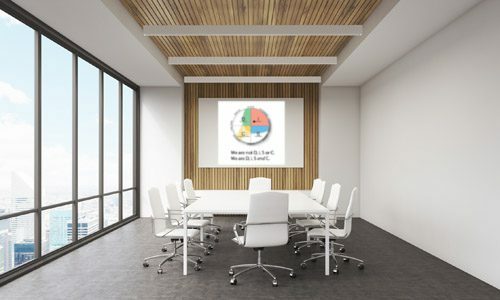 Many trainers like to be sure that tables include people with a diversity of DiSC styles. Assemble your supplies, including table tent cards, pens, profiles, the Everything DiSC Manual, laptop, batteries, Style Guides, contact phone numbers, etc. Test your equipment such as your laptop, speakers, or projector. Pack power cords. Review your notes and training plan. Review desired outcomes and what to expect with your client. Prepare and print a training evaluation form, if desired. Arrive early and deal with anything unexpected. Set up your materials. Welcome participants as they arrive. Ask for cell phones to be turned off or for the group to agree to a few ground rules. Point out locations of restrooms, when breaks will be scheduled, etc. Follow your notes or your facilitation kit, and improvise when necessary. Watch your pacing, your tone, and audience responses. Is everyone engaged? Is everyone learning? Adapt your style or content as needed. Take notes on anything you want to follow up on. Afterwards review how well it went and write notes on how to improve for your next training. Review your notes and offer additional resources, if appropriate. Sometimes you might want to offer individual coaching or to send an email with an article that relates to a topic that arose during training. Or perhaps you were asked a question you couldn’t answer on the spot, but now you can. Send Comparison Reports if you have them. This can be a very powerful and appreciated follow-up to training if people work closely together. Sometimes trainers offer to administer additional profiles with Comparison Reports for people who had direct reports or teammates who didn’t attend training. Send a reminder about MyEverythingDiSC.com if you’ve given participants access. Share a fun activity like DiSC activity with Dr. Seuss quotes. Schedule a DiSC review session for three-to-six months from now. Let us know how it went by giving us a call or posting to our Facebook page. Open the .ppt file you want to edit. Click on the temporary logo and delete it. Then replace it with your own (INSERT tab, Pictures). Click on the temporary company name and address and replace it with your own.